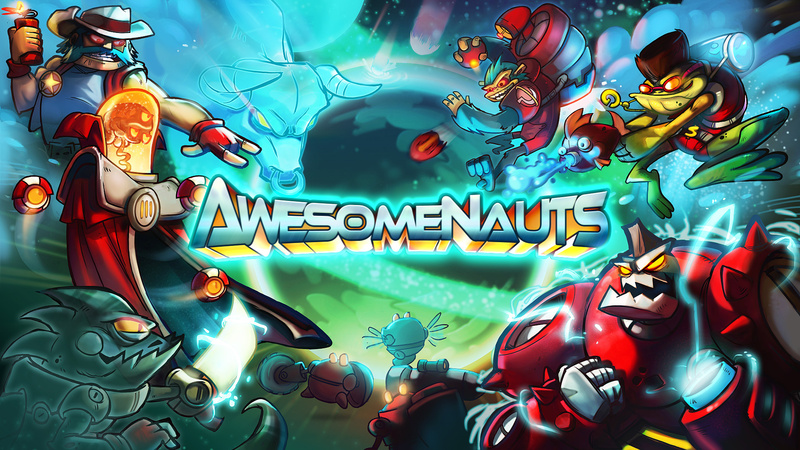 We hope that you weren’t counting on the PlayStation 4 iteration of Awesomenauts to infuse your holiday with a spot of eighties action, as Ronimo Games has admitted that there is very little chance of the side-scrolling MOBA deploying this side of Christmas. According to the developer, the team handling the port, Abstraction Games, has submitted the title to Sony several times, but is still waiting for approval. For those out of the loop, the ace cartoon parody sees you competing in six-player battles, levelling up your character, and preventing enemies from infiltrating your base. It also allows you to play as a French frog, which serves as justification for its over-the-top title. Are you itching to dive-bomb the online excursion with a DualShock 4 in hand, or are you happy to stick with its current-gen counterpart? Shower us with smooth moves in the comments section below. French chameleon and gangster frog! Not to forget Derpl Zork and his holo-cat launcher! The one thing Im hopin for is that it comes with the added content found on PC as the Ps3 version hasnt been patched for an age and theres a lot of new content not available on Ps3 (devs state the reason as being that its too expensive to patch on consoles) any word on that? No point buying the Ps4 version if its exactly the same as the Ps3 one. @MadchesterManc - I was wonderng about that myself. My kid and I played this when it first came out and I thought they would continue to add new characters but nothing new in a long while. On a bright note this game plays it's awesome music on the XMB. Sony should make a rule that all (PS3) games play music on thier XMB icons, it's so weird when there's no noise. Beyond:Two Souls and Dragons Dogma Dark Arisen have what sounds like an entire orchestra playing. Just bought a cheap $200 Sony amp but now I really notice.